I’m usually not so much about the side dishes…as you know, I am more about desserts and main courses and anything made with bacon or chocolate. Or bacon AND chocolate. But this delectable combination of orzo pasta, fresh veggies and melty cheddar cheese has me making an exception on the whole side dish thing, because it really is irresistible. Even without any added bacon. 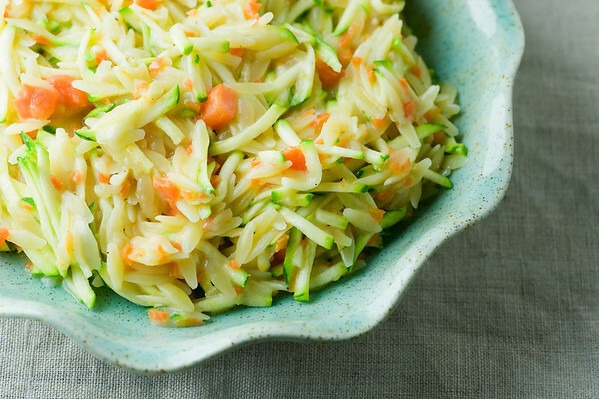 Once the orzo is tender (about 15 minutes), stir in some shredded squash (either zucchini or yellow squash will work fine) and a generous amount of shredded cheddar. Stir it around, cover the pot, turn off the heat and let it stand for 5 minutes. When you take off the pot cover, you will have a glorious, cheesy, delicious concoction of this. On second thought, who really needs that main course anyway? Heat oil in a medium pot over medium high heat. Saute shallot until soft, about 3 minutes. Add broth and carrots and bring to a boil. Add orzo, reduce to a simmer and cover pot. Cook for 10 minutes or until orzo is tender. Turn off heat and stir in squash and cheddar. Put the cover back on and let the pot sit for 3 minutes. Stir, season to taste with salt and pepper and serve! How did you know that I have three blocks of cheddar in the fridge right now? This is definitely going on my table! I always have tons of cheddar in my fridge, so I just assumed everyone did! YUMMY and so fresh-looking with the colorful veggies. Stopping by store to grab a box of orzo pasta after work! I do this with 1 inch pieces of asparagus and parmesan cheese. Yummy. It’s great to swap in and out all those great summer veggies, right? This looks really summery good! 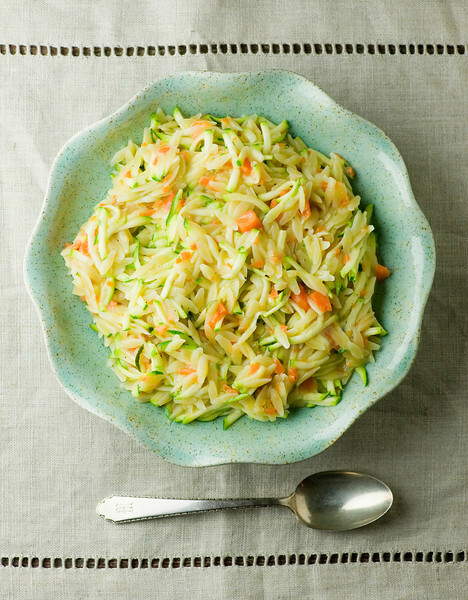 Another way to use up some of that zucchini that always seems to be overabundant. ;) And, yes, I think I could eat that whole bowl, never mind anything else. And very healthy with all the veggies!